Bertolli Olive Oil recently debuted a new campaign called “Where Flavor Comes From” that is designed to integrate all of the brand’s global advertising. Components of the U.S. campaign include a cooking iPad app from chef Fabio Viviani, as well as a new Web site, a sweepstakes and major social media involvement. The New York Times provided the full dish on the brand’s digital development. The goal of the campaign is to teach U.S. consumers about the different varieties of olive oil. The associated iPad app titled “Let’s Cook!” features more than five hours of content, including more than 100 searchable recipes, Viviani’s step-by-step guides to creating 16 different recipes, menu suggestions, wine pairings, detailed entertaining tips and links to share content via Facebook and Twitter. The iPad app is available in Apple’s App Store for $2.99 as a user-friendly cooking resource with branding considerably low-key. iPhone and iTouch versions of the app are also under development with lower price points. 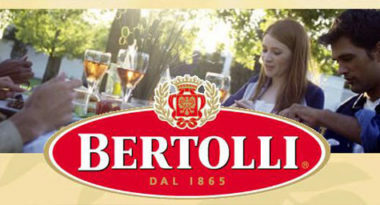 To drive awareness for the iPad app and other campaign components, Bertolli is increasing its posting and engagement activities on its Facebook and Twitter pages to include interactive games and fun facts. “We are putting much more focus on two-way communications with consumers,” said Maria Hernandez-Procaccini, Brand Manager for Bertolli Olive Oil. Read more about integrating an iPad app in your marketing plan.